After 7 days at sea, we finally had a port call. Today, it was Aqaba, Jordan. 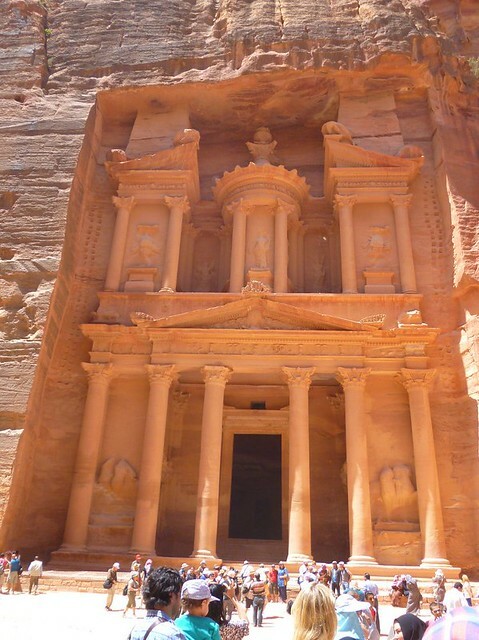 Persuaded by two other ladies, I signed up with a private tour to Petra the Rose City and Wadi Rum the desert. Surprisingly, the tour bus was waiting for us at the port even before we were allowed to go out. Our tour guide was a woman–one of the 66 lady tour guides among the 1,000 or so tour guides in Jordan. She kept us entertained on the bus and was a stark difference compared with the Hoi An tour guide who was just talking nonsense most of the time. Our first stop was Petra the rose city. The journey from the port to Petra was about an hour. Since Petra was at a higher altitude, the weather was cool. By cool I mean air conditioning cool. Of course, the sun was so piercingly strong and the walk to the sights so challenging that everyone was hot by half way of the tour. There was a lot of walking on stoney paths in Petra. The most famous sight is the Treasury which was also where they filmed one of the Indiana Jones movie, or so I heard. The Treasure and other sites were nice but I kind of like the houses facing the valley more than the historical sights. The houses were the color of sand and like boxes with square holes of windows. After lunch, we took a long bus ride to the desert. The Jordanian desert is not full of sand like the picture books I read when I was a kid. Instead, there were rock mountains jutting out here and there. 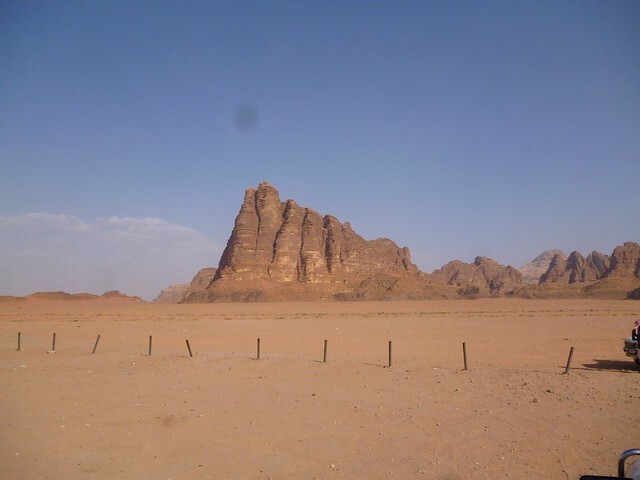 Lawrence of Arabia was stationed at Wadi Rum for a period of time. Sadly, I didn’t do any reading on him so the excitement of being where he was didn’t mattered to me. We had a 2 hour ride on the back of a pickup to admire the scenery, be baked by the sun and to see some of the souvenir places along the way. At one of the stops, I tried running up one of the sand dunes but the sand grabbed onto my ankles with each step I take. I was breathless around one-third of the dune’s height. After the desert jeep ride, we raced back to the port and was back an hour before we were required. That night, I rested very well.